This famous "Forbidden Planet" robot was released in 1957, one year after the hit MGM sci-fi movie. With a click on his red tin remote he walks forward with 3 pistons pumping, one antenna spinning and a glowing light in his helmet. 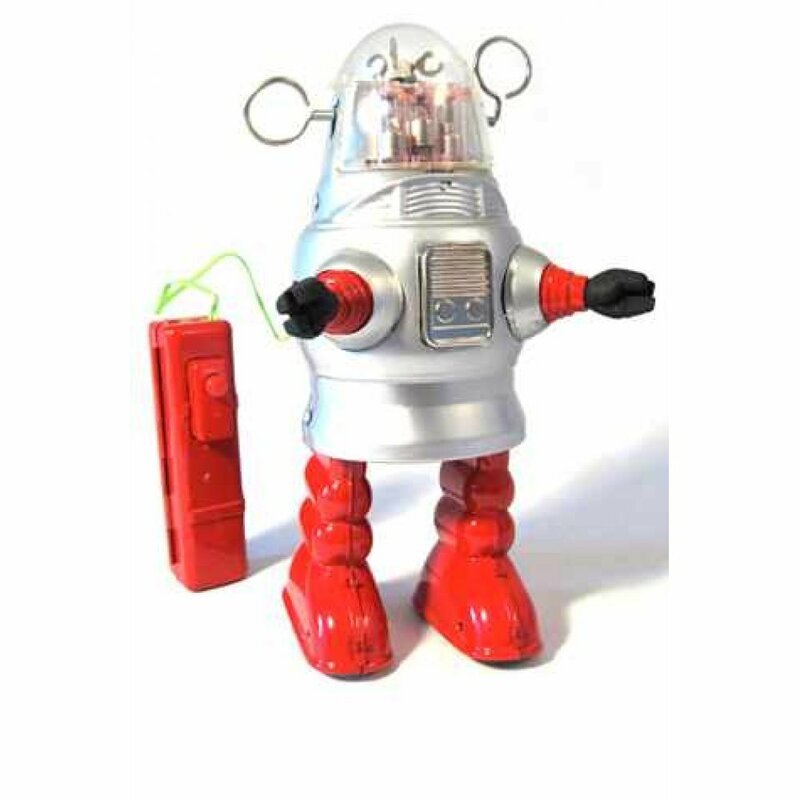 With his high quality silver and red tin body, he is the ultimate collector's robot from the 1950's including the original retro box graphics. Our electric Robby is a reproduction of the Japanese original by Nomura. A mint condition original is valued at $3000. 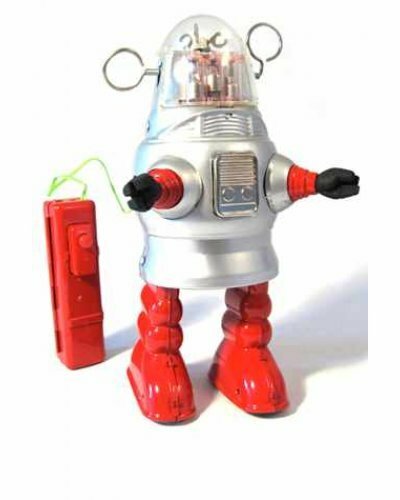 Package: 1950's Color Box - "Remote Control Piston Action Robot - Operates on Flashlite Batteries - Adjustable Arms!" 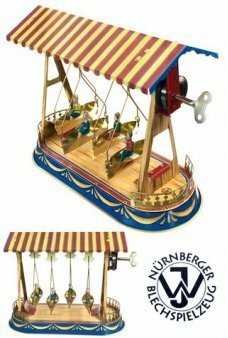 A beautiful Baroque German original tin toy! Just wind-up the exposed clockwork mechanism and ..
A colorful classic floating "pop pop" toy. This red, yellow, orange and blue tin toy uses an actual ..
Don’t Shoot! BANG!! 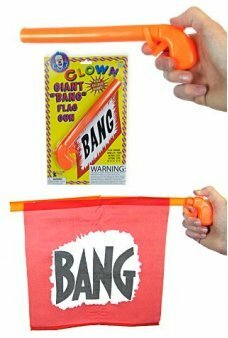 Our classic Bang Flag Gun always surprises your friends. Just pull the trigger..
Slinky's Little Brother. Everyone loves a Slinky®! 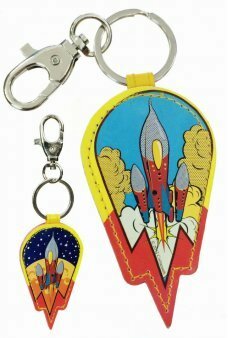 This original spring toy is famous with children ..
Our colorful Sky Rocket soars into space with a silver ring and latch for your keys. The key ring fe.. 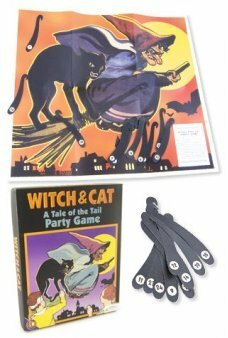 The spooky cat on a witch’s broom is missing her tail. 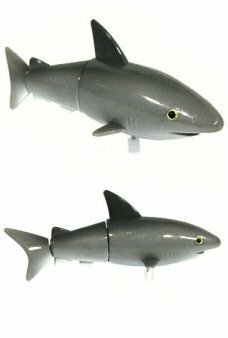 Can you place the tail on the cat while you a..
Wind up our Grey Shark and she quickly flips her body and back fin. She wiggles and swims in your t..
A shiny silver toy replica of the classic Derringer pistol. It really works as a cap gun! &nbs..